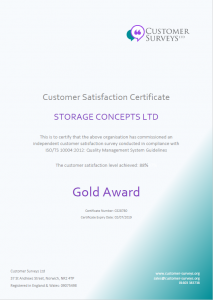 Storage Concepts Ltd recently undertook a customer satisfaction survey. We were keen to find out what customers thought of our services, and if there was anything we could do to improve our customer interaction for future enquiries and projects. 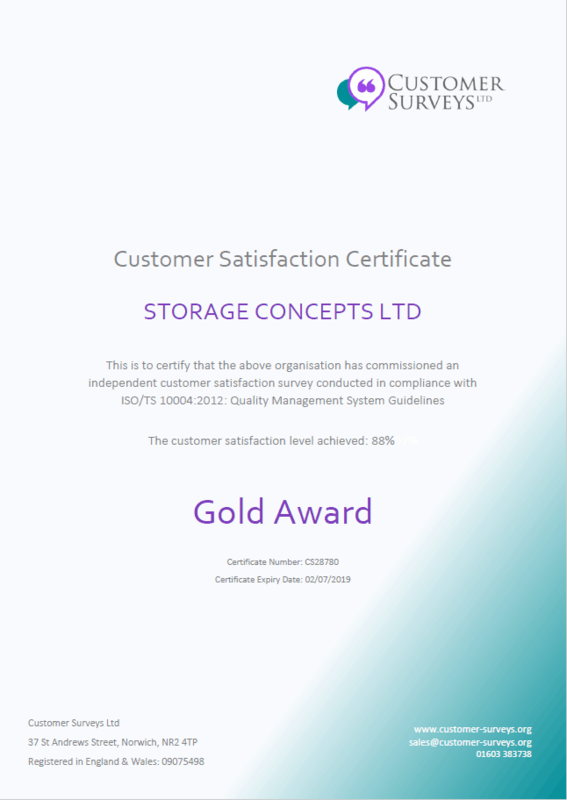 We were very proud to receive the ‘Gold Award’ for customer satisfaction, the survey of which was conducted in compliance with ISO/TS 10004:2012: Quality Management System Guidelines.